Ok. So, I did it. 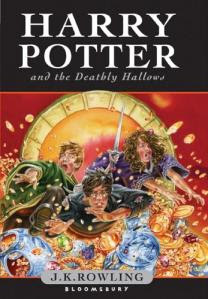 I broke down yesterday and read Harry Potter and the Deathly Hallows! The dishes piled up, the girls destroyed the living room, and I sat on my bed under the ceiling fan and read, and read, and read. I am not going to really blog it for a month. I spent the last week madly dodging spoilers, and I don't feel like inflicting unwanted knowledge on anyone. 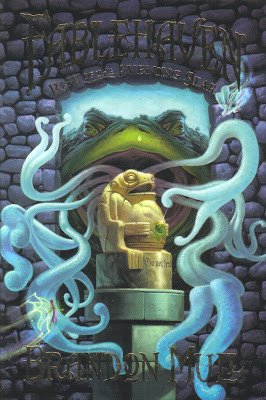 I FINALLY got my copy of HP 7 in from England today! But of course there is an obstacle. I am helping a friend out and speaking at a YA lit course on Monday. So no reading until that's done. Maybe I can sneak a bit in! Successfully avoided spoilers thus far! Much different than when I was still working in the public library. I had to sequester myself away so that some kid wouldn't ruin it for me! 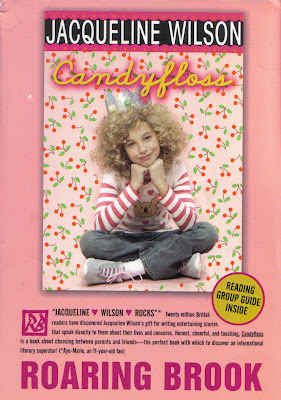 I will blog a couple things over at Tweendom that I read over my vacation. There used to be a time in my life when I read quite a few forensic style mysteries. This is the first I have read in a while - this title being a choice of our grown-up summer book club. The year is 1170 and the place is Cambridgeshire, England. Children are disappearing, and the village is up in arms. Surely the town Jews are to blame. Child sacrifice is part of the culture afterall, isn't it? So how to solve these disappearances? Henry calls for one of the best detectives from Italy by way of his cousin, the King of Sicily. Simon of Naples is to come over to clear the name of the town Jews, and to find out what really happend. 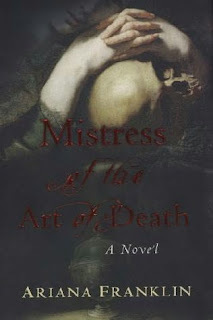 And to accompany him, a master in the art of death will come as well. This person is schooled in reading dead bodies for clues as to how they were killed. What Henry and Simon do not count on is that this person is a woman. Adelia is the child of professors and a student from the University of Solerno...one of the only places where a woman is allowed an education. How will she fare in medieval England where the Church rules as well as the King, and women with knowledge are oft accused of witchcraft? And what will happen to those accused when the children start surfacing -- their bodies obviously violated before death in numerous ways? Ariana Franklin has written quite the page turner. And, I have to say it ... eeewww! Lots of detail that I would have done quite well without. Mind you, the detail is not over-the-top in a gore for the sake of it way. It certainly ties in with the plot. But what made this title so readable for me, were the characters and their development. Adelia herself is complicated, smart, and torn. Little Ulf is utterly charming in his own messy way, as is his grandmother Glytha. The reader also gets a real sense of the racism, religious fervor, and overall danger of the times. Unless you were a catholic, white man, your very existence could be wiped out with very little consequence. While this title didn't capture me as much as last summer's The Historian, I did learn quite a bit about the time period, and it has spurred me on to want to read some non-fiction about the times. Josie Jenkins is very tricky. She can do lots of tricks. But one day, the best trick ever happens to her. Billy Brand has his head stuck in the bars of a fence and nobody can help him. But then Josie feels a tingling in her arms and she knows just what to do! She simply bends the bars! None of the grown-ups believe her until she bends the bars back. Josie's fame spread quickly, and while she just wants to use her trick to help people, there are other folks who see dollar signs in Josie's strength. How can Josie avoid becoming another pony show? Once you are finished Josie's story, just flip the book over to read about Sam. Sam's parents have just won a Dream Maker Tour trip to the moon! Everyone is so excited until they realize that nobody under age 12 is allowed to go. Sam has to stay home. It's all okay, because Sam has plans to stay with his friend Billy Brand. But when the big day comes, Billy's contagious and Sam has nowhere to go. Then neighbour Hilda Hardbottom volunteers to watch Sam. This is a bit fishy as old Hilda isn't the friendliest neighbour ever...but his parents are in a pickle. Turns out, Hilda's in it for the insurance money. Certainly something has to happen on the first ever trip to the moon for tourists. Sam feels doomed until he gets some help from an unlikely source! What a fun little duo of stories! Sally Gardner has put together a great text to illustration ratio for the younger set who are beyond easy readers, but in need for a not-too-long story. 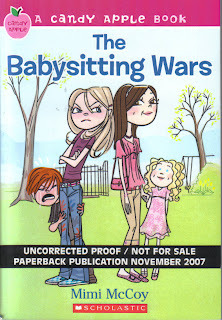 The illustrations are so cute, and give the reader a real sense of the kids. Quick aside...I know that my students will pick up right away that the twin towers are still in the NYC skyline in Josie's story. Not that it's a big deal, but conversations may arise. ...to see the movie of the Spiderwick Chronicles. Go here to watch the trailer! Woot! And starring Freddie to boot! I am off to my homeland! Woot! No computers for a week. But...these 2 delightful pixies won't be with me either. So expect a pile of reviews when I get back! 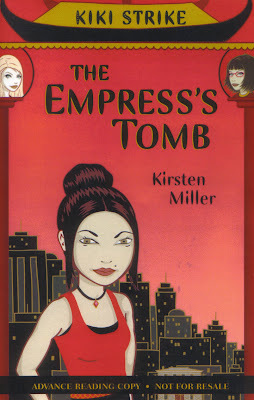 Kiki Strike: The Empress's Tomb, is over at Tweendom! Logan and his friend Benedict head over to the library to get a head start on their project for school. They have to write 5 whole pages on "What's So Great About Being a Human?" For Logan, this is easy. Baseball. He heads right over to the baseball books and gets to work. It's not so easy for Benedict, however. He can't seem to pay attention to anything for more than 5 minutes, and before Logan knows it, Benedict smacks him on the back and calls out "tag". Logan is soon chasing Benedict down into the Reference Section. He soon crashes into a elderly gentleman. Logan gives him a bit of cheek, and the man says that Logan needs to be punished. He then blows a bunch of dust right in Logan's face. Logan hightales it out of there only to discover that when he speaks more than 3 words, all he can utter are puns. Will he ever be able to speak normally again? What will his friends and teachers think of this new way of speaking? 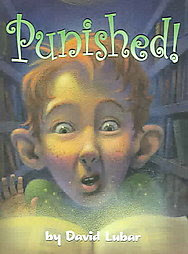 Young readers are introduced to wordplay in the form of palindromes, anagrams, redundancies and oxymorons. Definately appealing to those kids who love language.